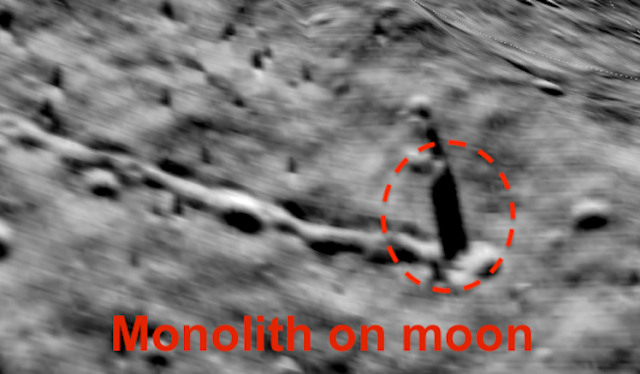 UFO SIGHTINGS DAILY: Mysterious Monolith and tunnels discovered on the Moon near the Apollos missions, Video, UFO Sighting News. Mysterious Monolith and tunnels discovered on the Moon near the Apollos missions, Video, UFO Sighting News. This person found two long tunnels on the moon and at the end of one of these tunnels is a tall monolith. The fact that a monolith stands at the end of one is proof that the tunnels are constructed by intelligent beings.